A key event in the history of British anti-fascism happened 75 years ago this month. While holding special significance for the Jewish community, today it resonates with the British Muslim community and all those who believe in multiculturalism. 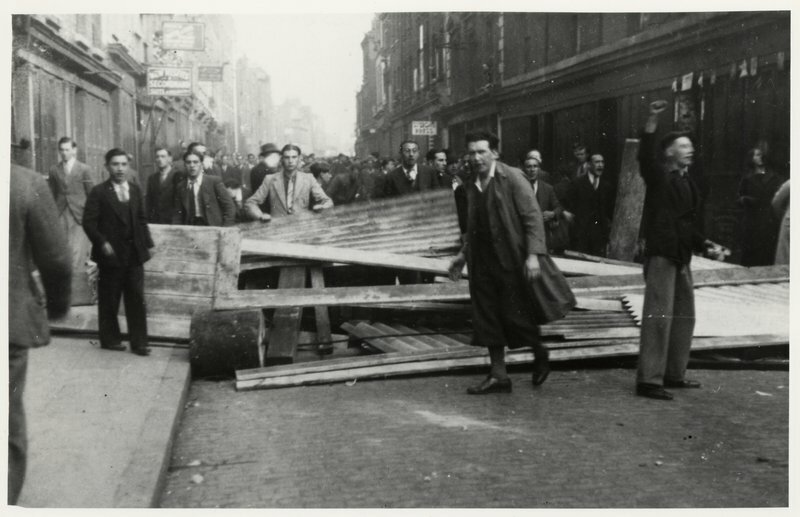 A pivotal event in the history of British anti-fascism took place 75 years ago this month. While holding special significance for the Jewish community, today it resonates with the British Muslim community and all those who believe in multiculturalism. This month, London fleetingly enjoyed its most glorious autumnal weather on record. But for the thousand-plus people who marched through the East End on Sunday 2nd October, there was something more enduring to celebrate that weekend than the British sunshine. An amazing coalition of Jewish, Bengali and socialist groups were remembering the Battle of Cable Street: the day, 75 years ago, when people poured onto the streets to stop the British Union of Fascists (BUF) from marching through East London. In 1936, the East End housed the largest Jewish population in Britain. Its 60,000 Jews had been enduring mounting anti-Semitic violence and intimidation, largely orchestrated by the BUF. Having fallen out with the British establishment, the BUF was playing dirty in the East End, trying to drum up votes by exploiting tensions between Jewish, Irish and other groups, who were all struggling for jobs and decent housing. But when Oswald Mosley, the BUF leader, arrived in East London with 5,000 black-shirts, he was met by a human wall whose diversity was testament to an interracial solidarity that ran deeper than social tensions. 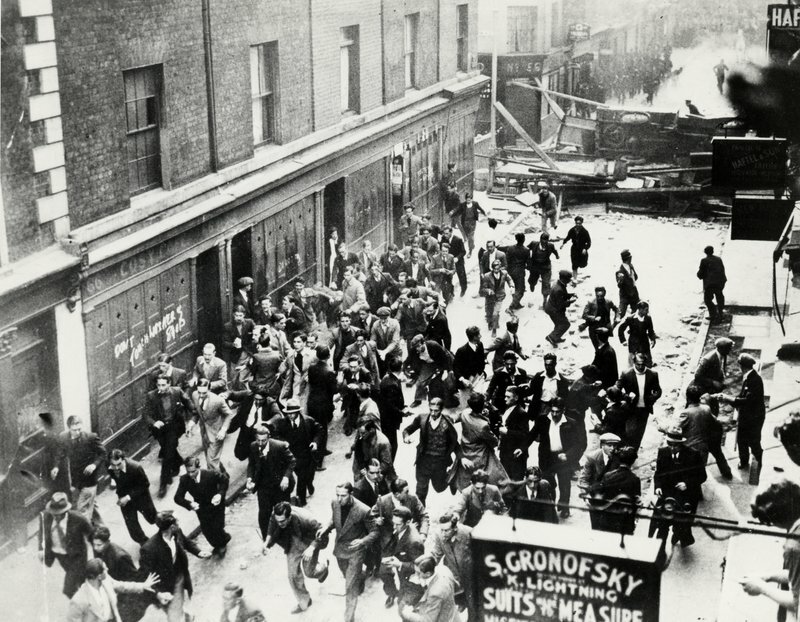 Three-hundred thousand people – Jewish tailors, Irish dockers, Communists, socialists, trade unionists, anarchists, or simply workers – had come out to block his entrance to the East End. This year, with precious few veterans still alive, the Cable Street celebrations are more vibrant than ever. More than 40 events have been taking place in London alone, from hipster anti-fascist klezmer parties to intergenerational history walks. Meanwhile, the Jewish Museum has dedicated a whole programme to Cable Street and the Spanish Civil War. Cable Street has become mythologised, rightly, as an iconic example of non-sectarian solidarity. According to Levitas, what made such mass mobilization possible were the bonds of solidarity between Irish and Jewish East Enders. These bonds were cemented through the trade unions, the East End branches of the Communist and Labour parties, and the energetic support for Spain. These “long decades of forgetting” have made it difficult for young progressive Jews to find any kind of model for themselves in their own cultural heritage, says Valman. Though it has been decades since Zionism was able to provide an appealing political identity for left-wing Jews, their own radical British history is only just starting to emerge as something that may replace it. This argument is borne out by the experience of Yoav Segal, a young British-Jewish filmmaker who has made several films about Cable Street. When in 2005 he released a short film based on his grandfather’s experience as a Cable Street veteran, Jewish audiences seemed to know very little about this chapter of their history. On the frontier of this creative generation are Jewdas, a London-based collective whose highbrow parties, satirical website and arch stunts have given them cult status, while getting gloriously up the noses of the British-Jewish establishment. Earlier this month, Jewdas threw a party on Cable Street, where the crowd dressed up as fascists, communists and 1930s working-class Jews. The rally was a celebration of the fact that East Londoners have been heeding that advice now for decades. The memory of Cable Street helped inspire successful campaigns against the National Front in the 1970s, and the BNP in the 1990s. In these latter struggles, it has been East London’s Bengali community who have been targets for fascist violence and intimidation. Fittingly, they were perhaps the most prominent group on the march this month. The men were carrying a banner for the Altab Ali Memorial Foundation, set up in memory of the 25-year-old Bangladeshi man who was stabbed to death in a racist attack in Whitechapel, East London, in 1978. As they marched, the men were chanting ‘No Pasaran’.